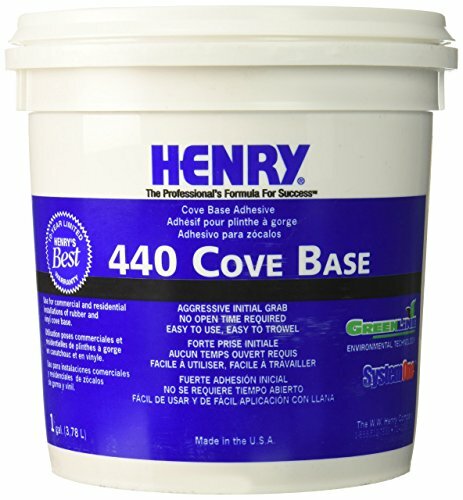 Gallon, #440, cove base adhesive, for installing vinyl or rubber cove base, outstanding grip, cove base won't slip during installation, latex based, easy clean up with water, moisture resistant, provides secure, reliable bond for cove base installations, smooth consistency, easy to spread & trowel, coverage rubber or vinyl cove base sawtooth 1/18 inch D x 1/8 inch W x 1/8 inch a 310-340 linear feet per gallon. 220-240 linear feet per gallon for 4 inch cove base & 165-180 linear feet per gallon for 6 inch cove base, VOC Compliant, 10 year warranty.This product adds a great value. Product is highly durable and very easy to use. This product is manufactured in United States. 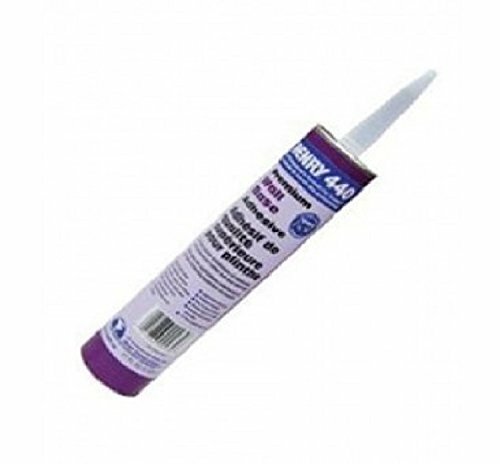 QT, #440, cove base adhesive, for installing rubber or vinyl cove base, outstanding grip, cove base won't slip during installation, latex based, easy clean up with water, moisture resistant, provides secure, reliable bond for cove base installations, smooth consistency, beige in color, easy to spread & trowel, coverage 1/8 inch x 1/8 inch x 1/8 inch sawtooth 77-85 linear feet, 55-60 feet for 4 inch cove base & 41-45 linear feet for a 6 inch cove base all coverages are per QT, VOC Compliant, 10 year limited warranty.This product adds a great value. Product is highly durable and very easy to use. This product is manufactured in United States. 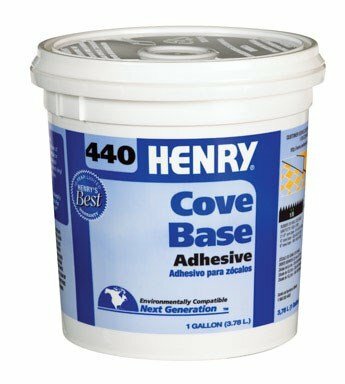 30 oz, #440, cove base adhesive, for installing rubber or vinyl cove base, outstanding grip, cove base won't slip during installation, latex based, easy clean up with water, moisture resistant, provides secure, reliable bond for cove base installations, smooth consistency, beige in color, easy to spread & trowel, coverage 1/8 inch x 1/8 inch x 1/8 inch sawtooth 72-79 linear feet, 51-56 feet for 4 inch cove base & 38-42 linear feet for a 6 inch cove base all coverages per 30 oz tube, VOC Compliant, 10 year limited warranty.This product adds a great value. Product is highly durable and very easy to use. This product is manufactured in United States. 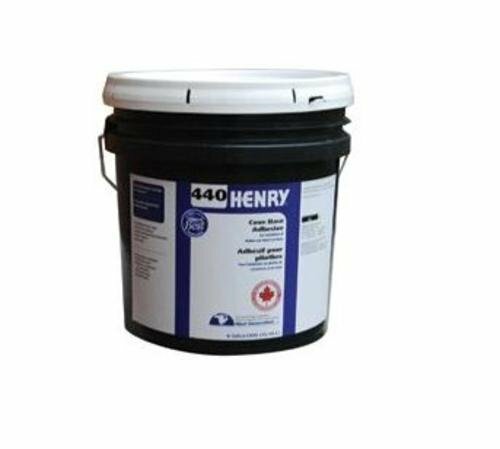 HENRY 440 Cove Base Adhesive is a premium, high-performance wet-set adhesive used for the commercial and residential installation of rubber and vinyl cove base. The aggressive initial grab prevents slip during installation and no open time is required. Bonds rubber and vinyl cove base to structurally sound, clean, smooth and dry concrete, concrete block, gypsum drywall, plaster, wood, plywood, brick and plastic laminate, and abraded glazed or metal surfaces on all grade levels as recommended by the cove base manufacturer. 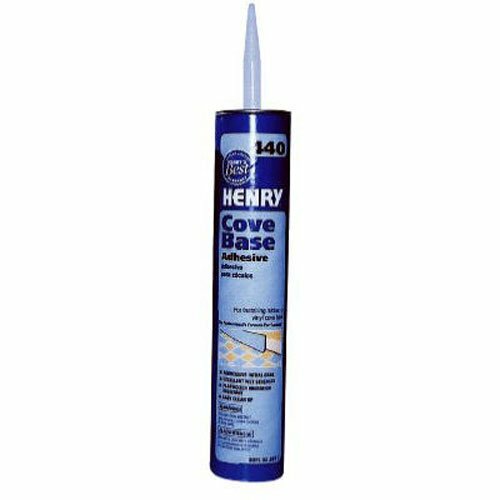 Includes a throw away, plastic cove base nozzle that evenly spreads three beads of adhesive in a 2-1/4" spread, for use on 4" Cove Base. 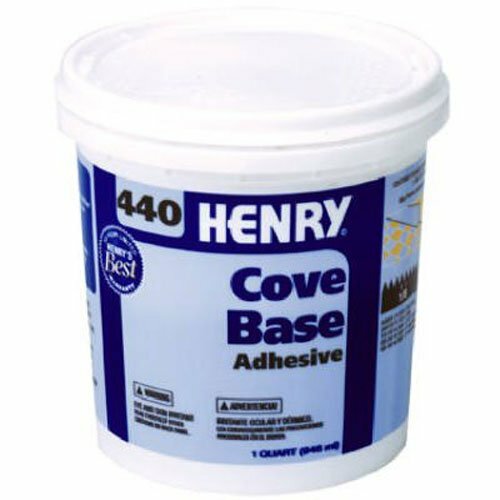 30oz adhesive provides 51-56 linear feet of coverage when spreading a 1/8" bead on 4" rubber or vinyl cove base. Nozzle is easy to attach to the plastic tip of the adhesive cartridge. 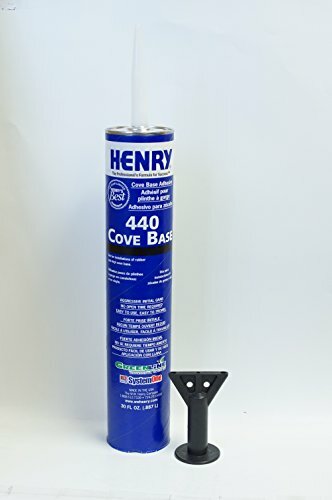 Price listed is for (1) 30oz Cove Base Adhesive & (1) Disposable Cove Base Nozzle. Sold as one unit. (1 unit = 4 each.) Latex based. For rubber and vinyl cove base. Bonds to concrete block, drywall, plaster, wood, brick, plastic laminate, and abraded metal surfaces. Aggressive initial grab. No open time required. Moisture and plasticizer migration resistant. Non-flammable in wet state. Easy cleanup. Not for vinyl wall coverings or use over old alcohol resin adhesives. 10-year warranty. Gallon Bucket. Manufacturer number: FP00440044. SKU #: 11472. Country of origin: (TBA). Distributed by Henry W,W. 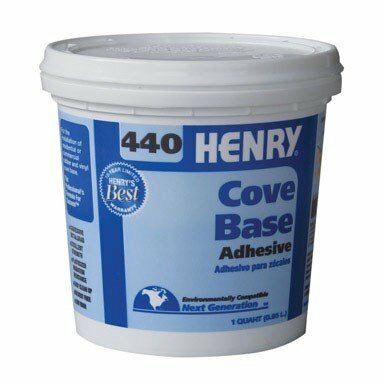 30 OZ, #440, Cove Base Adhesive, For Installing Rubber Or Vinyl Cove Base, Outstanding Grip, Cove Base Won't Slip During Installation, Latex Based, Easy Clean Up With Water, Moisture Resistant, Provides Secure, Reliable Bond For Cove Base Installations, Smooth Consistency, Beige In Color, Easy To Spread and Trowel, Coverage 1/8" x 1/8" x 1/8" Sawtooth 72-79 Linear Feet, 51-56 Feet For 4" Cove Base and 38-42 Linear Feet For A 6" Cove Base All Coverages Per 30 OZ Tube, VOC Compliant, 10 Year Limited Warranty.